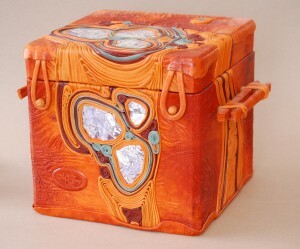 Jewelry box “Cube”. Size 35х35х35 cm. Stewed leather, leather plastic, jasper inserts.